This letter seeks to draw increased attention to the developmental costs, both biological and economic, of some infectious diseases, including malaria, and Neglected Tropical Diseases (NTDs). NTDs afflict more than 1.4 billion impoverished people, many of whom live on less than US$1.25 a day. Many infectious diseases compromise intellectual development, which, in turn, hinders economic progress by decimating the workforce (hookworms, for example, made Indian immigrants lethargic by sapping their energy). 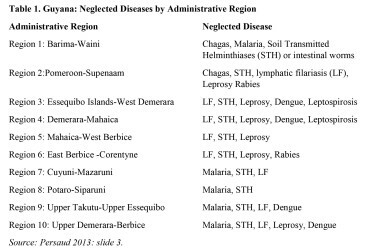 While Guyana has transitioned from infectious to chronic non-communicable diseases, there is still an unfinished agenda of common infections. 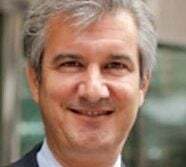 Adding to the health burden are undernutrition and reproductive health problems, emerging challenges of mental disorders, injuries and risks associated with globalization, including threats of pandemics such as AIDs and influenza. A large number of microorganisms are believed to change how well humans think. For example, Psuedo-nitzschia and Acanthocystis turfacea chlorella virus 1 (ATCV-1), which infects mucosal sites of humans, such as the oral pharynx and intestinal tract) are pathogens ‒ viruses, bacteria, parasites and fungi ‒ that derange human thinking, as do worms and organisms that cause schistosomiasis (or snail fever), leishmaniasis (caused by sand files), malaria, HIV, dengue fever and chikungunya. What do pathogens have to do with intelligence? A 2010 paper by Randy Thornhill and colleagues, published in Proceedings of The Royal Society, shows that low average IQs from various nations are strongly correlated with high rates of infectious diseases. The study was based on IQ scores from 113 countries and these scores ranged from a high of 107 in Hong Kong to a low of 63 in Ethiopia. One major conclusion of the paper is that “there is negative association between infectious-stress and average intelligence” as measured by IQ. As a cautionary note, IQ is not the same as intelligence, which varies across cultures, and no consensus definition of intelligence exists; IQ tests assess only mental ability and achievements that are highly valued in Western countries, and measured factors are not universal. The huge importance of Thornhill’s paper is that IQ is more closely correlated with the health of nations rather than their ethnic composition or wealth. The prevalence of NTDs constitutes a major difference between rich and poor countries. NTDs are a group of parasitic and bacterial diseases that cause substantial illness for more than one billion people globally, most of whom live in extreme poverty in poor countries. NTDs impair physical and cognitive development, contribute to mother and child illness and death, make it difficult to farm or earn a living, and limit productivity in the workplace. As a result, NTDs trap the poor in a cycle of poverty and disease that pass from one generation to the next and illustrate the association between poverty and disease. 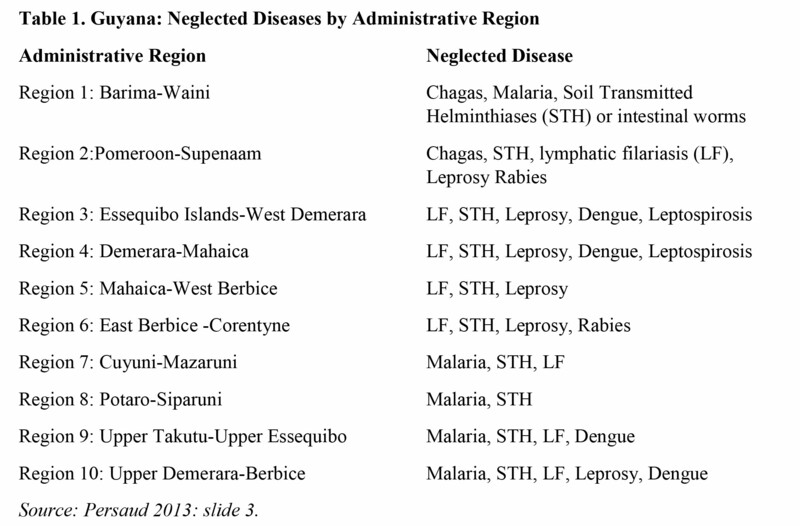 In Guyana, no administrative region is free of one or more NTDs; malaria, an infectious disease that is not an NTDs, is endemic in countries in the Americas, including Guyana (Table 1, reproduced from Gampat 2015: Volume 2: 999). Infectious diseases that are not NTDs also compromise intelligence and reduce peoples’ capabilities. Children who acquire HIV prenatally from their mothers are at risk of central nervous system diseases that, according to Harriet A Washington, “cause a spectrum of brain dysfunction from encephalopathy to subtle cognitive impairment. Language disorders and developmental delays can result because HIV crosses the blood-brain barrier to contribute to various types of neuronal injury.” Afflicted children score low on tests for memory, speed of processing and verbal comprehension. Leishmaniasis and Chagas disease infect 10 million, and 7.5 million people, respectively in Mesoamerica. These diseases are both stigmatizing and cognitive-impairing. Parasitic worms, which afflict 807 million to 1.2 billion people worldwide, lead to cognitive delays. These worms are concentrated in Sub-Saharan Africa, Asia and Latin America, including Guyana. Hookworm drains people’s energy and makes then unfit for prolonged labour, which retards economic prosperity. Even more disturbing, treatment for parasitic worms does not necessarily restore the mental abilities of the infected person. For example, a 1997 study of Jamaican school children infected with whipworm were treated with antiparasitc medication and compared to those who received a placebo and were left untreated. Infected children turned in an impaired performance on reasoning and memory tests but not in attention or fine motor skills. Children who were treated also showed these defects. A recent study by the Institute of Medicine Report notes that parasitic infection affects the body, and thus the brain, energetically in four ways. First, some parasitic organisms feed on the host’s tissues: the loss must be replaced at energetic cost to the host. Such organisms include flukes and many kinds of bacteria. Second, some parasites inhabit the intestinal tract or cause diarrhoea, limiting the host’s intake of otherwise available nutrients. These include tapeworms, bacteria, giardia and amoebae. Third, viruses use the host’s cellular machinery and macromolecules to reproduce themselves, at the energetic expense of the host. Fourth, the host must activate its immune system to fight off the infection, at energetic expense. Of these, diarrhoeal diseases may impose the most serious cost on their hosts’ energy budget. First, diarrhoeal diseases are the most common category of disease on every continent, and are one of the two top killers of children under five, accounting for 16-17 per cent of all of these deaths globally. Second, diarrhoea can prevent the body from accessing any nutrients at all. If exposed to diarrhoeal diseases during their first five years, individuals may experience lifelong detrimental effects to their brain development, and thus intelligence. Disease-causing organisms of humans are more prevalent in equatorial regions of the world and become less prevalent as latitude increases. Ecological factors contributing to this distribution include mean annual temperature, monthly temperature range and precipitation. Proper nutrition, good overall health (not merely control of diseases) and education are central to the development and wealth of nations, as the East Asian Tigers have demonstrated. I do hope the authorities devote greater attention to this ‘holy trinity’ and back it up with investment. 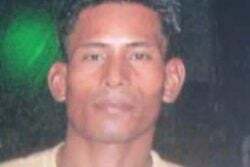 At around US$200 per person in 2011, Guyana’s per capita health expenditure was one of the lowest in the Americas; only Haiti (US$60) and Nicaragua (US$125) spent less. If adequate staff were in place and drug and supplies shortages were removed, it would have cost G$8,209 million (US$41.0 million) to provide satisfactory services in 2006, instead of the G$6,400 (US$32.0 million) that was actually spent.